I haven’t been grilling for a whole lot of years but my husband has definitely grilled for 20+ years. 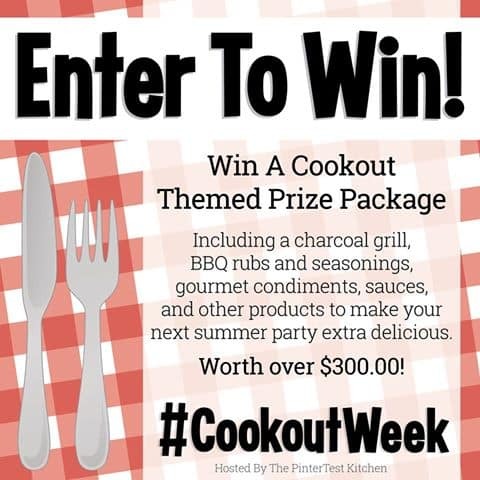 Today I’m going to share something for #CookoutWeek that is going to blow your mind! I’m not kidding! 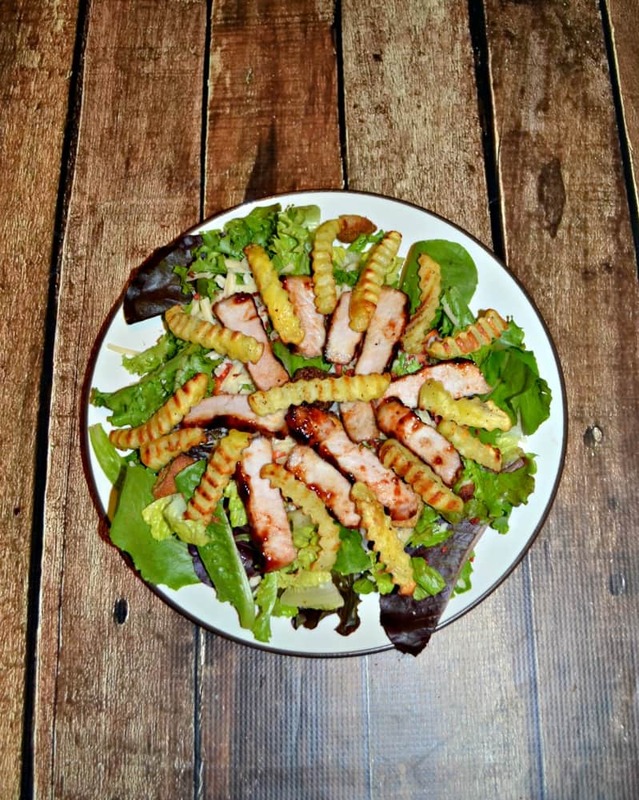 It’s a grilling secret that not even my husband or I knew prior to deciding to cook a BBQ Pork Salad with french fries when it was hot and humid outside. I had been in the kitchen baking most of the afternoon for a party we were having and I was hot. I didn’t really want to turn on the oven again to heat up the french fries. So I asked my husband if he thought we could GRILL frozen french fries. Neither of us knew so I started searching online. 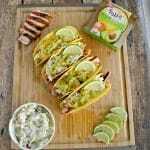 I found many recipes and they were all similar. Toss frozen fries with butter, put on foil, don’t cover the top, and grill. That’s it! We were a little skeptical but decided to try it so as not to heat up the kitchen. I put together two packets of fries, tosses them with butter, salt, pepper, and garlic powder, and got them ready for the grill. My husband tossed them on the grill while I prepared the BBQ Pork. All I did with the pork was rub it with Wimpy’s BBQ Rub from Swine Dining. 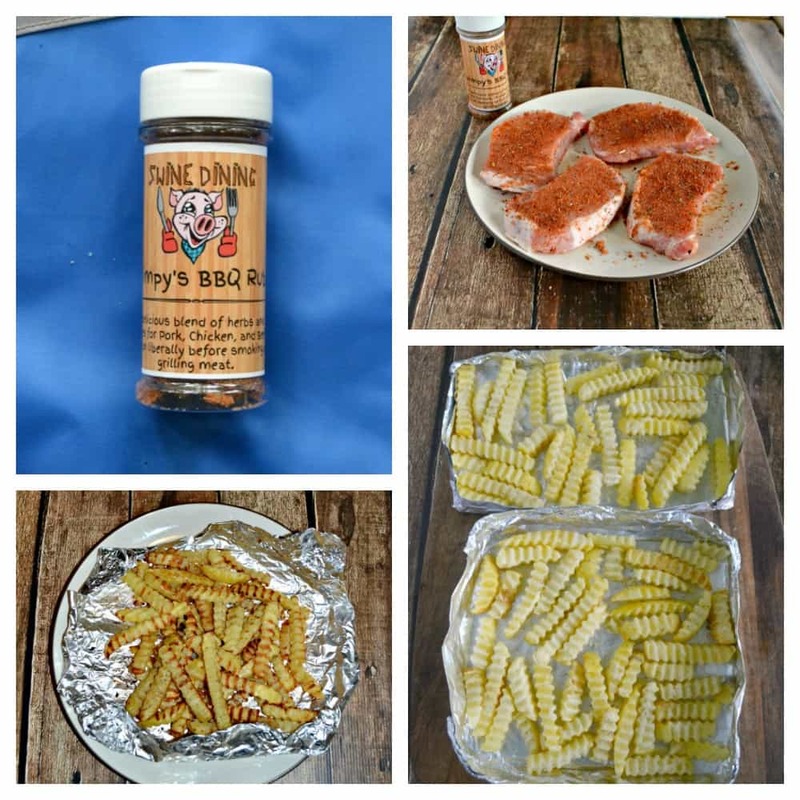 Wimpy’s BBQ Rub is a sweet rub that is delicious when rubbed on meat before it’s grilled. It comes from Swine Dining which is located in Erie, PA. They make small batch homemade rubs that they sell in their Etsy store. So my husband flipped the fries inside of their foil packet and then tossed the pork chops on the grill. He brushed the chops with a little BBQ sauce while I started making the salads. 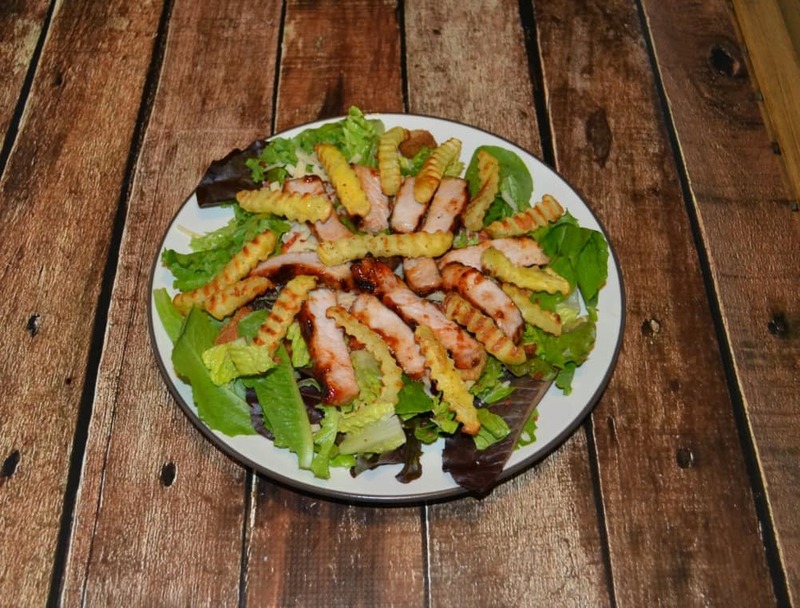 You can put whatever you like into your salads. I had just picked up our CSA share so I used organic lettuce, carrots, and beets in our salads. Then I whipped up a quick vinaigrette and get this…I put some of the Wimpy’s BBQ Rub in the dressing! It was great. It added just enough flavor to be noticeable. This is such a delicious meal that is great because the entire thing is made on the grill. There is no oven required and it’s all on one plate so there isn’t a ton of clean up. I layered the salad with cheese, BBQ prok, and the fries then topped it with my homemade dressing. The pork was juicy on the inside and just a little crisp on the outside. It was super flavorful from the rub. The fries were crisp on the outside and hot on the inside. The dressing was tart and delicious. 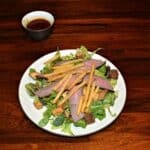 The perfect salad! 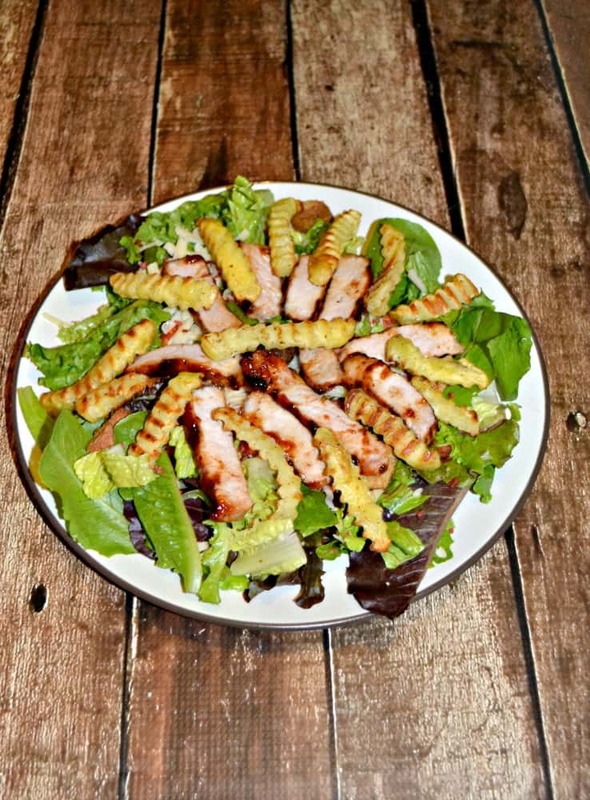 Make your BBQ pork and french fries for this delicious BBQ Pork Salad on the grill! Heat an outdoor grill to medium high heat. Toss the frozen french fries with the butter, salt, black pepper, and garlic powder. Get a piece of foil and fold it in half. Fold up the sides so there is 1 inch on each side. Pinch together the corners. Add the fries to the foil, making sure they are in a single layer. If there are too many make a second pouch. Turn one burner of the grill down to medium low and leave the other medium high. Place the french fries on the medium low burner and shut the lid. Cook for 10-12 minutes. Meanwhile, rub the pork chops with Wimpy's BBQ Rub. Place them on the medium high side of the grill. Flip the french fries while you have the grill open. Cool for 5 minutes. 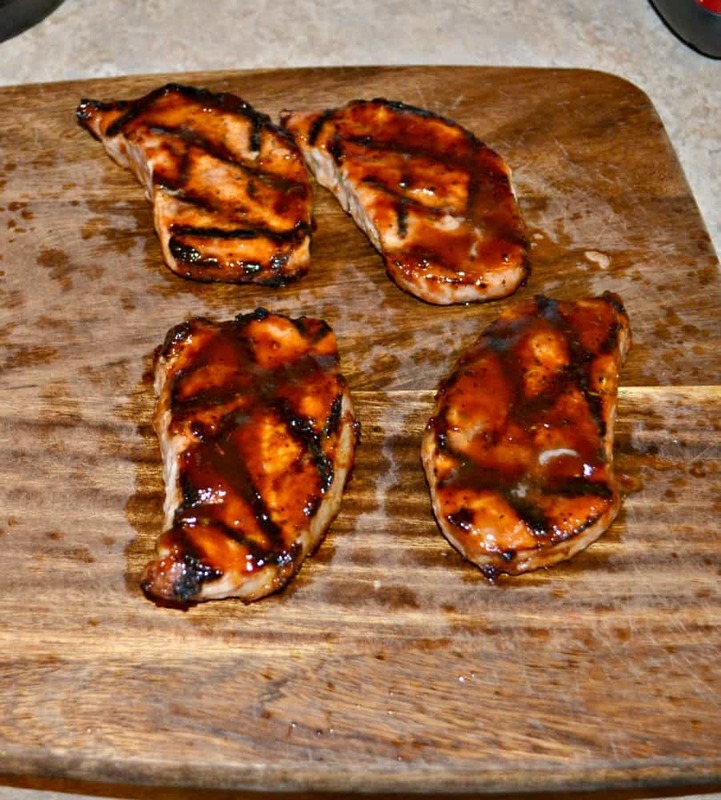 Flip the pork chops over, baste with BBQ sauce, and shut the lid to cook for 5 minutes. Turn the pork one more time, baste with BBQ sauce, and cook until pork reaches 165 degrees internally. Remove the fries and pork from the grill. Slice the pork into thin slices. 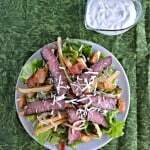 Please the salad mix on to 4 plates and divide the pork and french fries on top. I received the Wimpy’s BBQ Rub from Swine Dining but as always all opinions and photos are 100% my own. Those pork chops look so delicious! Also love that everything was done on the grill!